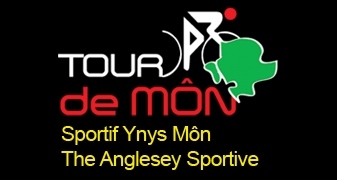 Free places are up for grabs in the 2011 cottages4you Pendle Predator Cycle Challenge for groups of 8 riders or more. With the standard entry fee being set at £ 28, this represents an equivalent discount of 12.5% per rider, and is available to absolutely anyone – you just need to rally the troops and find 7 other people who are up for riding in the stunning countryside around Pendle & Bowland. The cottages4you Pendle Predator is one of the UK’s toughest sportives, yet rewarding in so many ways. This year there are two different distances to choose between – 175km and 100km – both of which use quiet, rural roads and low-traffic areas, and parts of the course were even tackled by pro riders on last year’s National Road Race Championships. ‘We decided to introduce this eighth person free offer as a way to encourage clubs and work colleagues to enter the ride, as it can be much more fun if you do it as part of a team. You have a sense of unity and can even introduce a little competition amongst yourselves.‘ Says MD of Pennine Events Mark Sandamas. To claim your free eighth entry, contact event organisers Pennine Events on support@pendlepredator.co.uk and they will issue you with a discount code for you to use online. The Cycle Challenge is taking place on Sunday 7th August, the Start/Finish venue is at Rolls Royce Sports Ground Barnoldswick, where there is also a free cycle show and is also part of Pendle Cycle Fest, of which other activities include Colne Grand Prix and Pendle Guided Rides.